Bronway Automation, a Dublin-Ireland based Automation Company, specialises in providing innovative, reliable and technically advanced automation solutions for a broad range of customers, across multiple industries, on a world-wide basis. Our vast engineering and software capability has enabled us to provide world class automation for over 21 years. A testament to this is the level of subsequent projects we undertake for our customers following the initial involvement. Bronway conceives, designs, builds and supports custom automation solutions and standard product lines for customers in industries all over the world. We produce the industry’s highest quality automation solutions, faster and more efficiently than any of our competitors. The results are systems that exceed production targets year after year. Talk to any Bronway customer and they will tell you that our commitment is unrivalled. They’ll say that nobody works harder at developing a cast iron working partnership. They’ll confirm that this effort to fully understand a client’s processes and products pays off in an automation solution that always performs above target levels from day one. While we provide off-the-shelf solutions for standard industrial needs we are specialists in automating processes and products that have no previous automation blueprints. In this role, we are the best in the business. With focus and passion we take an idea for automating your process from concept right through to completion. Because we take the time to completely immerse ourselves in your business, you will be a crucial part of the automation team. We will learn as much from you as you from us, with common goals, identical measures of success and ultimately a mutual pride in a world-class automation solution. 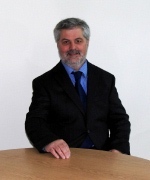 Martin O’Malley is the founder and Managing Director of Bronway Ltd since its inception in 1991. After studying electronic engineering, Martin spent some years at Trinity College working in a research group. In 1977, Martin joined Mentec International Industrial Automation and worked for 7 years in the areas of process control, SCADA and robotics. 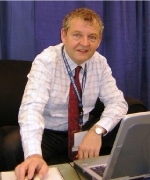 In 1984 Martin joined AME Ireland as Sales and Marketing Director and was responsible for the worldwide sales of floppy disc test equipment. In 1991, Martin founded Bronway and for 21 years, the Bronway group of companies have been developing innovative solutions for industry specific requirements on a global basis. Martin is now considered one of the leading experts in end of line automation. He and his talented team have continued to innovate and provide outstanding solutions for Bronway’s discerning customers. His customers would comment that one of the keys to Bronway’s success, apart from the leading edge solutions provided, would be Martin’s belief that the client relationship is absolutely crucial. As General Manager, James coordinates all departments within Bronway, ensuring that all departmental performances and KPI’s are reviewed and achieved on an on-going basis. In addition to the day to day running of the business, James is the senior project manager in Bronway and has personally managed all of Bronway’s major projects since 2007. Originating from a background in mechanical engineering, James also heads up the Design Department, ensuring that the highest possible standards in design and quality are adhered to. 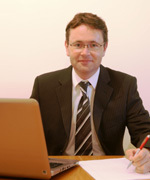 Michael O'Toole has served the Bronway Group as Financial Officer and subsequently Financial Director since 1998. Prior to joining Bronway, Michael held a number of senior financial positions in the materials handling, engineering, oil and refrigerated haulage industries. As head of our engineering and R&D teams, Ernie brings over 20 years of engineering excellence to the company. His significant knowledge and expertise in automation across multiple industries coupled with an unrivalled ability to bring the very best out of any piece of automation, shapes the way we design and produce our solutions. 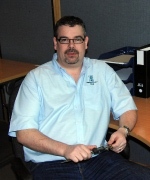 Stephen heads up the software and control systems team and is one of Bronway’s longest serving employees. 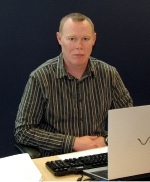 With over 25 years experience in this area, Stephen is instrumental in the architecture, design and creation of all aspects of our software and machine control systems. He has a deep technical understanding of all matters engineering together with a flair for maximising the user-friendliness and accessibility of our software. Click the pictures above for more information.